On a dreary January day there is nothing better to lift the spirits than casting my mind back to a wonderful warm (boiling in fact) summer day last July. I was back at Barons Hill Farm to conduct a ceremony, this time for the delightful Kirsty and Tom. Hello friends and a very Happy New Year to you all! I hope you had a wonderful Christmas and if you were amongst those who got engaged over the festive period, many congratulations to you!!! Joanne and Colin were married at Canonteign Falls in September. Their backdrop was the falls itself and they stood and exchanged vows under a pagoda overlooking Lily Lake. Colin’s brother Graeme was his Best Man and Joanne was given away by Jonny, the son she never had. They adopted one another as mother and son before the ceremony. Joanne was also keen to make a special mention to her mother during the ceremony, whom had been a constant in her life and role model. The wedding was light-hearted but sprinkled with great sincerity and perfectly reflected Colin’s sense of humour and the couples’ long-time friendship. I particularly love the accents of burgundy throughout the wedding party and proof that chivalry is not dead – Colin gave his jacket to Joanne during the ceremony to shelter her from the breeze coming across the lake. Images are courtesy of Tess Photography. If you like the sound of getting married at your favourite nature spot, head over to our availability page and save the date. December has always been a month of madness as we all tie ourselves to the Christmas bandwagon and hold on tight. But it’s also a month of reflection and what a year it has been for the Fanfare family. It kicked off back in April with the postponed wedding (due to the snow in March) of Jan and Richard at Powderham Castle and my last ceremony was for Emily and Andy at the Deer Park Country House in November – A venue which has now closed its doors to hotel guests and now concentrates entirely on weddings and events. I was lucky enough to be asked to conduct two ceremonies there this year. Both were wonderfully happy and memorable. Bizarrely for Kirstie and Dan in September the weather threw the book at them. Heavy rain and gales. Whereas at the beginning of November for Emily and Andy the sun shone down on them. I’m always saying that couples should consider winter weddings, although I’m saying that as we are entering yet another week of wet and windy weather. This is my third year of being a celebrant and I’ve been to some new venues such as the quirky and charming Streamcombe Farm and returned to some old friends like The Barn at Barons Hill Farm. But my favourites are without doubt those that are at home. Both Becky and Ran’s and Charlotte and Chris’ weddings were the stand outs for me. Purely for that reason. Both their homes are in the most magical of settings and although again the blummin’ weather threw a spanner in the works for Charlotte and Chris it didn’t take away from the fact that Charlotte had her wedding and exchanged vows and rings with the person she loved, in the place she loved… at home. For me there is nothing better. 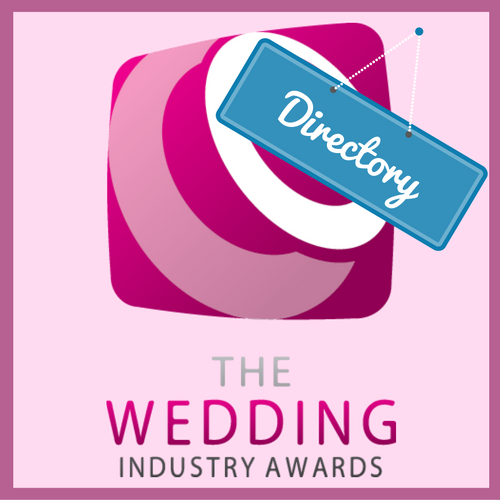 The year culminated with a last-minute decision to enter the Wedding Industry Awards and unexpectedly being made a regional finalist. I lost out to the very talented Cornish Celebrants – a charming duo of lady Celebrants based, yes you’ve guessed it, in Cornwall. It certainly was an experience and I cannot thank all the couples who voted for me enough especially as I really had not given them much warning! It wasn’t to be this year but who knows I might try again next year! One more thing I’m delighted to report, is that Bex and Gavin and Amy and Dave, whose ceremonies I conducted last year at Huntsham Court and The Barn at Barons Hill respectively, are expecting their first babies. I feel like a prospective Granny! And so I would like to finish by wishing all members of the ‘Fanfare’ family, both old and new (and coming soon!) a brilliantly Happy New Year. I’m excited about all the ceremonies I already have booked for next year and look forward to meeting new couples looking to have a celebrant wedding soon. It was all about the Jess’ on the 7th July 2018. It was only when I sat down and started writing the script that it occurred to me, when I began telling their story, that the shared name issue was potentially going to be quite challenging. I don’t normally have to use second names when I’m sharing weddings on this blog, but for ‘their story’ and for clarification purposes we adopted two of their nicknames. I wonder if I shall ever come across this situation again? Their chosen venue was the magical Streamcombe Farm near Dulverton. It’s completely off the beaten track with a wonderful Boho vibe and when the Jess’ fell upon it they knew it was exactly what they were after. The ceremony took place under a beautiful canopy created by an enormous beech tree which provides a majestic natural cathedral. Escorted by her father Kevin, Jess C emerged first from the woodland path, looking sensational. She was supported by her bridesmaid and two flower girls who were the daughters of mutual friends. It was actually the first time I had met her. This is extremely unusual as normally I meet my couples at least twice. Unfortunately, when we had planned to meet, she had been struck down by a horrid tummy bug just. I met with Jess B who was able to provide me with all the information that I needed to write the script and gave me the lowdown on their story and Jess’ personality and I was very pleased with the result. I hasten to add the script wasn’t at all one sided. I sent the first draft with a few gaps about Jess B which Jess C very ably filled in. It was sweet watching Jess C awaiting the arrival of her bride with her father, Robert. There was a palpable hue of anticipation. And Jess B didn’t disappoint. She looked equally stunning and was accompanied by her sister as Maid of Honour and nieces as bridesmaids. The plan had been for Coco their dog to be their ringbearer but sadly due to the sweltering heat it was decided that poor Coco might have melted. Jess and Jess are a couple who are renown amongst their friends and family for their generous hospitality and warmth. With most of their guests camping at Streamcombe for the weekend there was a real sense of celebration and good cheer which had started the night before the ceremony and I am sure continued long afterwards. Another very happy day. These incredible photographs are courtesy of Vaughan-Stephens Photography. On 26th May this year I was lucky enough to conduct the ceremony for Ranald and Becky at her parent’s farm in Wilmington, East Devon. Everything about this wedding was unique, personal and truly bespoke. Family is hugely important to both Becky and Ranald and their wedding certainly celebrated, not only their marriage, but also the love and the closeness or their two families. Becky’s parents had been working tirelessly to get their beautiful home prepared for this glorious celebration. The ceremony was held high on a hill above the farm beneath a beautiful wedding arbor that Becky’s father had made with seating on straw bales. It was a hot steamy day and the storm clouds were gathering but fortunately came to nothing. Many of the guests, despite the sweltering conditions, puffed up the steep hill whilst others took advantage of the vehicles laid on to ferry those less energetic. The view from the top was breathtaking. They wrote their own vows. Becky’s godmother had written a poem which she read describing their relationship and characters to a tee. This wedding typified everything that a celebrant ceremony is all about. Becky wanted to be married from her wonderful home. They wanted it to be personal, relaxed and intimate. It was all that and more. It was unpretentious. It was charming. It was rustic. They are a lovely couple who take joy from their family, their children, nature and each other’s company. They really were the Darling Buds of May just as HE Bates described. I loved it. The beautiful images were captured by DHW Photography. For those who follow me on Instagram or Facebook you will have seen that I have been busy presenting ceremonies all over the place this year. Today though I’m concentrating on my first wedding at Powderham Castle for Jan and Richard. Their big day had to be postponed because of the snow, meaning so few of their guests were able to get to Devon. This was such a difficult decision for them and hard to believe now with this current heatwave. Fortunately every single supplier was able to change the date. All of us desperate to accommodate if we possibly could. And WOW what a venue Powderham is and what a day it was! It was a pleasure working alongside Sarah the Weddings Manager there and indeed Nick of Nick Walker Photography who came all the way from Cornwall to take these absolutely stunning photographs of this awesome couple. How did he manage it without any of us really being aware he was there? Jan, Richard and I worked on the ceremony together. It reflected their characters and relationship, but also the importance of their friends and family. And not forgetting their humour. And there was a lot of that. Beautiful music was provided by the uber talented Rosewood String Quartet which included a specially arranged version of The Reckoner by Radiohead; a favourite of the couples. Jan had her best friends as bridesmaids and her mother gave her away. Beautiful bride. Blissfully happy couple. Awesome venue. Enjoy! Amy and Dave were married at The Barn at Barons Hill Barn in South Devon. Guests sat on straw bales with the sound of the stream trickling by in the background. Amy entered to Tenerife Sea by Ed Sheeran and was met by a very emotional groom, Dave, who was resplendent in his Royal Artillery uniform. This was a happy, relaxed wedding ceremony on a beautiful, sunny day. Images by Zoe Griffin Photography.